As we head into the weekend, the observant amongst you may be shall we say, just a little aware of a certain date. What those same observant folks probably won’t know is the secret history behind one Mr Valentinius, a Saint who should be remembered for his love of games such as Calculi and Tabula and his work in ensuring those ancient boardgames were not lost between the faded lines in the annals of history. Well, at least wouldn’t that be a grand story if it were true? I’m not about to suggest that you dispense with the more popular traditions of Valentine’s Day and provoke the wrath of your significant others, but that certainly doesn’t mean you can’t share your love for the hobby with them? Picture it – they open the front door to an indulgent path of rose petals, candlelight and the strains of Nina Simone and at the end of that path, the dining-room table and that splendid Uwe Rosenberg creation Patchwork. You whisper something sentimental about them being the thread that holds the patches of your life together and if you’re lucky, you might even squeeze in a game of Shakespeare. But enough of flirtatious liaisons, I’m sure there’s plenty in this week’s news you’ll be hoping develops into more than just a flirtation. Hot off the presses, it’s Android: Mainframe. 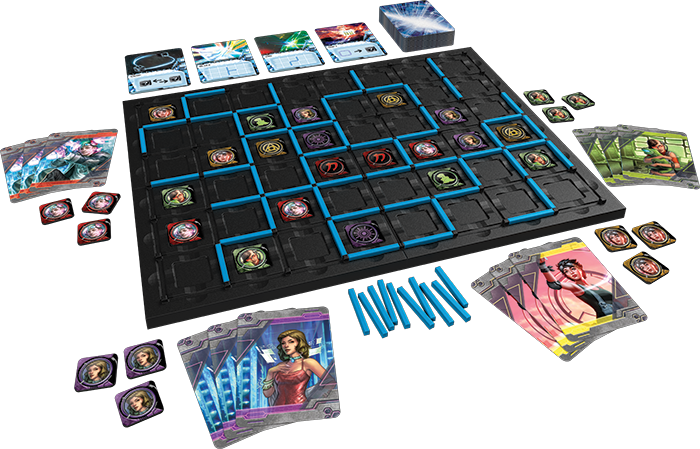 A half-hour strategy game set in the Android universe made popular by Netrunner? I reckon FFG can smell those crisp bills already. In Android: Mainframe, you and up to three opponents become elite cybercriminals known as runners. When the mainframe and fortunes at Titan Transnational Bank are suddenly compromised, it’s time for you to go to work. But it turns out that you’re not the only runner who has been alerted to Titan’s woes, and that means you’re not the only runner in Titan’s servers. It’s time to show your competitors what you can do: execute your programs, establish access points and partitions, and seize control of the mainframe. Spyfall 2! 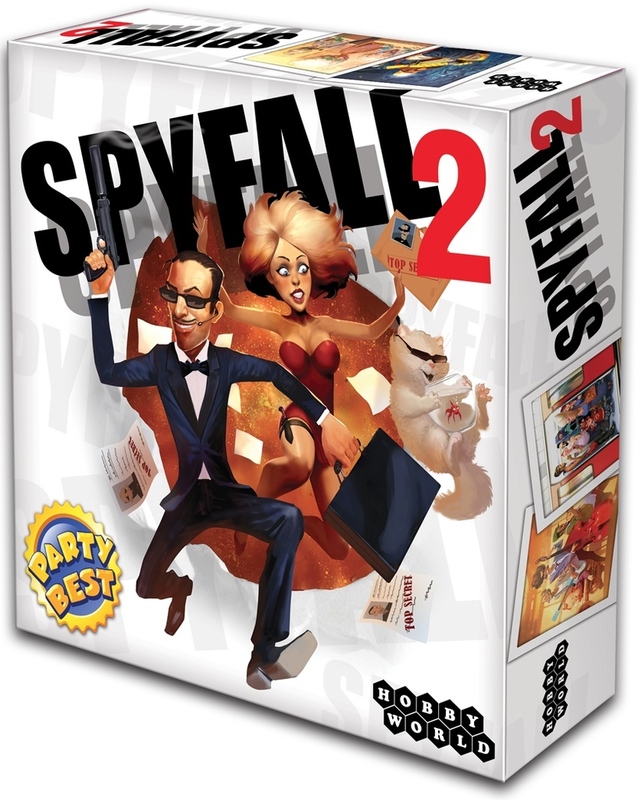 I’ve played Spyfall a few times and though I enjoyed the experience it’s far from my favourite party game, so I’m curious to see whether the follow-up has enough tweaks and additions to change my opinion. At this stage, it seems that aside from new locations Spyfall 2 will up total player count from 8 to 12, and allowing for two spies at each location. 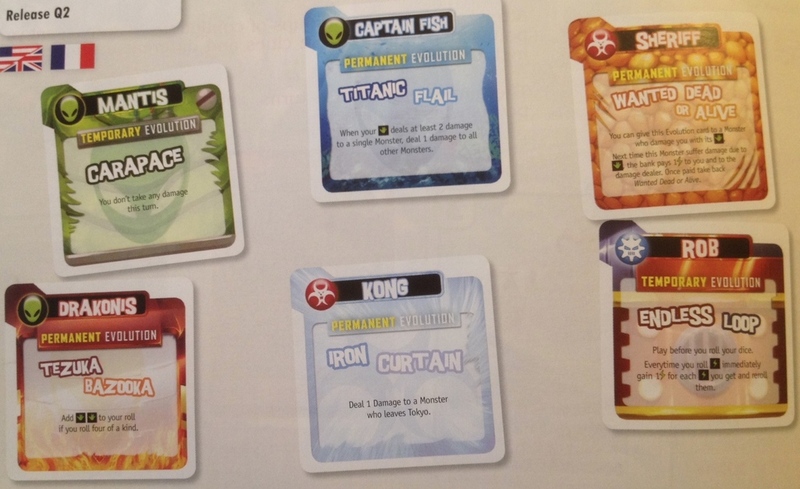 We’re definitely excited about the Q2 release of King of New York: Power Up! The Tokyo Power Up expansion for the original game brought some much needed asymmetry to the base game and some great new characters, judging by the box cover the NY version is set to do the same. The major hook? Now you can mix and match between games. Though we’re not quite sure we understand the appeal? I suppose for those who prefer Tokyo, they’re now able to evolve Captain Fish. I have a shamefully glaring omission in my shelf at home, and that’s a decent 4X game. Hobby World are clearly aware of this and have decided to use my own nostalgia against me by announcing Master of Orion: The Board Game. Scarce on details for the moment, but if it’s as good as MicroProse’s 1993 PC game was – and with a 40min to 60 min play time? 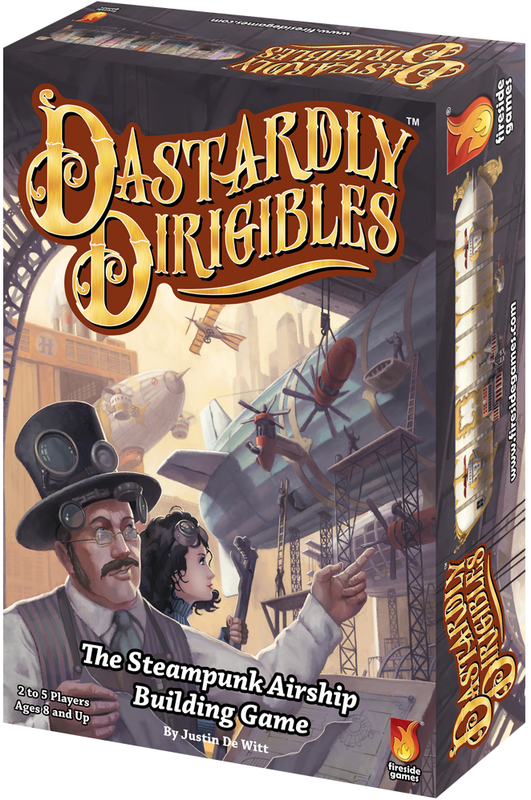 Lastly, Fireside Games of Dead/Castle Panic fame have announced Dastardly Dirigibles, a game all about building steampunk airships from varying suits of cards. Only each time a player adds a certain part, ALL players must add the same part regardless of suit. Since you only score from the most-used suit in your airship, you can see how this could well be a deliciously devious experience. Kickstarter’s boardgame cup overfloweth at the moment, so I’ll try and keep this short and sweet. First up, the intriguing art and theme of Dreamwell. Navigate the tiles of the Dreamwell to locate and rescue your friends in this 2-4 player 30 minute game from ActionPhase. And there’s a distinct Adventure Time sense about Tara McPherson’s gorgeous artwork that might appeal to many. Next up, Great Northern Games’ Council of Blackthorn for 2-6 players, each assuming the role of a member of the King’s council and vying for the most influence. But be warned, should the King suspect treasonous intent, head will be cleaved from neck. 19 days to go and at about 50% of its $20,000 funding total, there are a host of video opinions from the Game Boy Geek and others and there’s a print and play available, so if it sounds appealing please do go and check out their campaign. 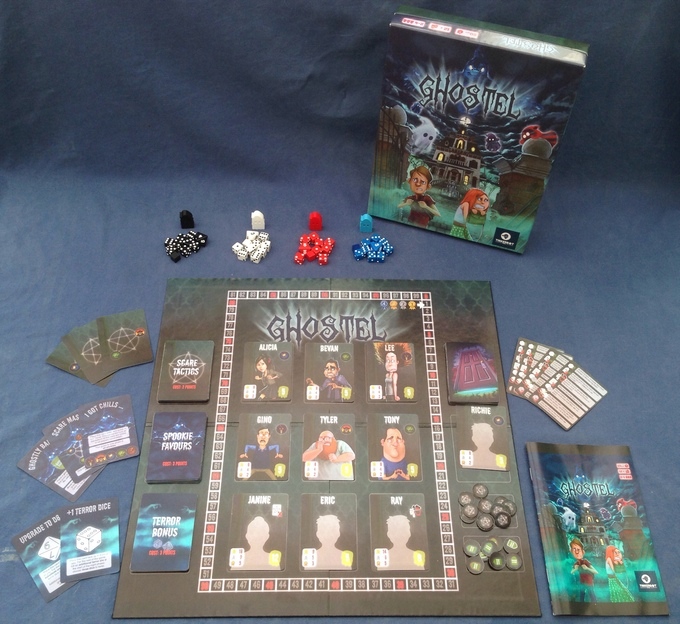 We’re pretty fond of dice placement games almost as much as we’re fond of Kickstarters who take the time to organise print and play versions, so you can imagine that Ghostel is right up our haunted alley. 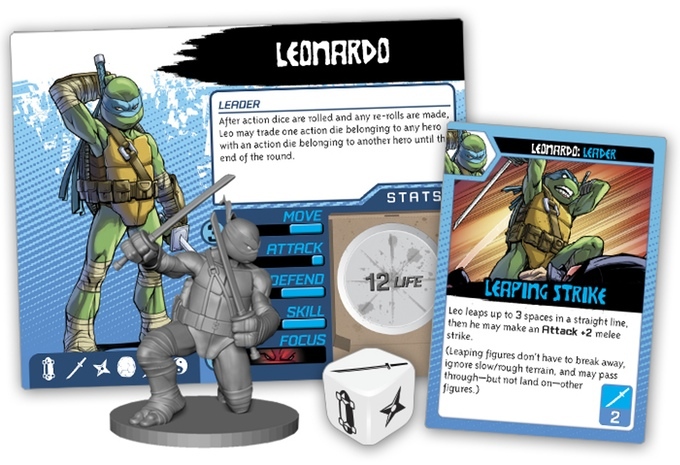 I’d be remiss for not mentioning TMNT: Shadows of the Past from IDW Games. They’ve blown through their funding target in double-quick time, but I’m always initially apprehensive about boardgames based off an existing IP. But IDW have a pretty great pedigree and more importantly the game is designed by Kevin Wilson. Yes, Descent and Arkham Horror Kevin Wilson. $80 though? And $150 if you want The Works, which is everything available from the campaign? This better be one hell of a miniatures game. Closing out this week’s KS news, is Aether Captains from MAGE Company. These guys are KS veterans with 20 successful campaigns behind them, but I can’t say I know much about them. 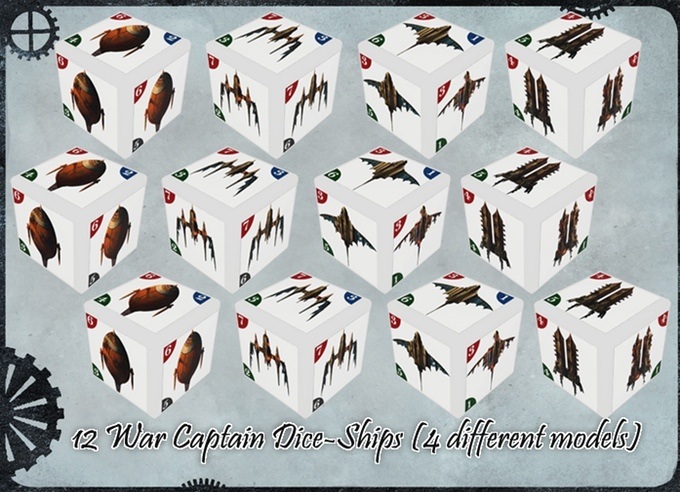 The second Zeppelin based game in our news today, but whilst TMNT’s components didn’t exactly set my wallet alight, Ather Captains is just gorgeous. The internet was last week all abuzz at the news of Pandemic: Reign of Cthulhu, and the folks at Ungeek have posted a closer look. So Azathoth, beware! 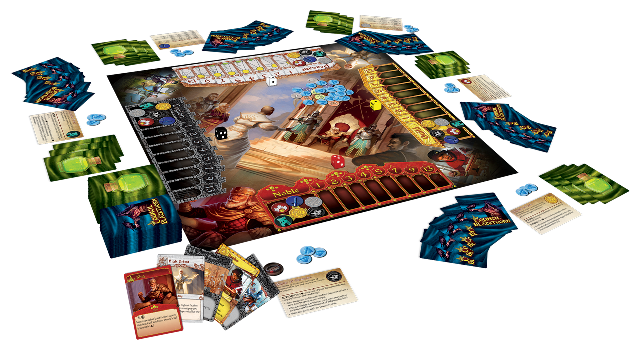 This weekend past witnessed some great gaming action, the ever popular Timeless Board Games Party was well, as popular as ever, and Skycastle’s Game Day is developing a consistent following – stay tuned for Stuart’s report. On Sunday Outer Limits Melville is hosting an Oath of the Gatewatch MTG day which starts at 10:30 – details here. And Quantum Gaming has a casual Game of Thrones LCG Meetup on Saturday, our very own Stuart may well be in attendance. Also, a shout out to Eric and his Big Box Cafe here in Cape Town. Their All Nighter events are occurring with greater frequency (I promise, we’ll attend one soon Eric! ), but they’re also running various events weekly now, including themed events such as the Zombie Game Night happening tomorrow night. Saturday you can go and check out Ancient Terrible Things, especially as creator Rob van Zyl will be there. Don’t forget, if you’d like us to feature an upcoming event, please drop us a line! And that’s a wrap for this week. Don’t forget, boardgames last longer than roses and personally, I reckon they smell a whole lot better too.